I've connected to a monitor (34UC88-B) to my MacBook Pro (Late 2016, no Touch Bar) through a DisplayPort to USB-C connector. The monitor has speakers that I use when I'm connected to it. Everything works fine when it's working. No problems with the display or the sound. 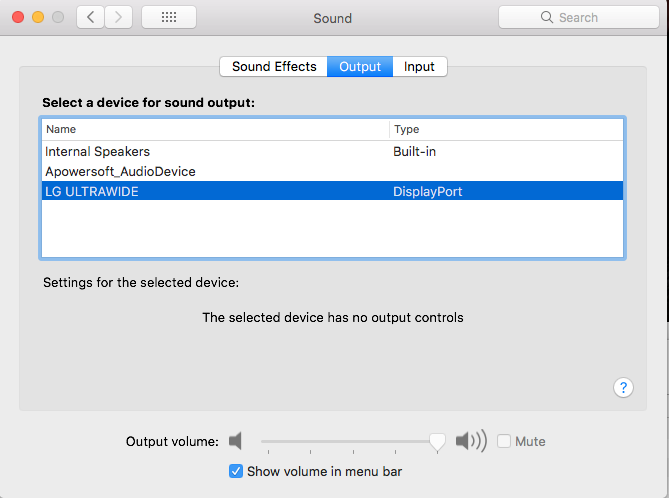 However, when I disconnect the monitor from the MacBook OR when I leave it connected overnight and log in to my computer in the morning, the monitor speakers disappear from Sound Preferences and the sound comes from only my macbook's internal speakers. I've tried disconnecting the monitor and reconnecting and switching off the monitor off and on. Nothing works. The only thing that does work is restarting my MacBook. 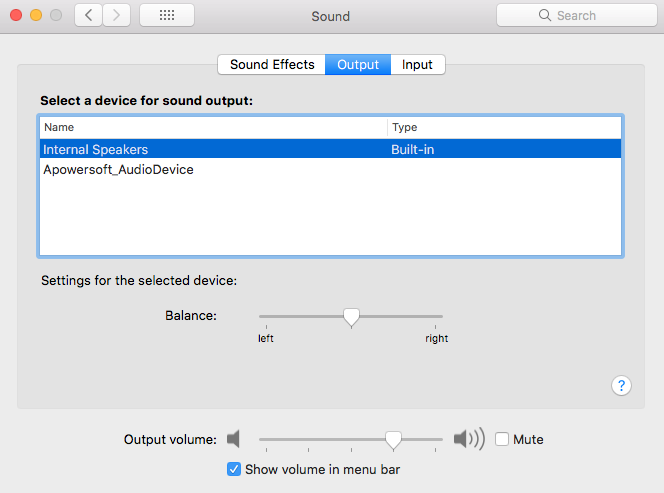 As soon as it restarts, I can see the monitor's speakers in the sound preferences again and I can switch to them without problem. It's really annoying to restart my computer each time disconnect or get up in the morning. Logging off and on doesn’t work. Only a restart does. How do I fix this? I don't know what the Apowersoft_AudioDevice is. When I switch to it, I get no sound. Browse other questions tagged macbook high-sierra usb displayport peripheral . Using clamshell MacBook with external monitor with no speakers - will there be sound?